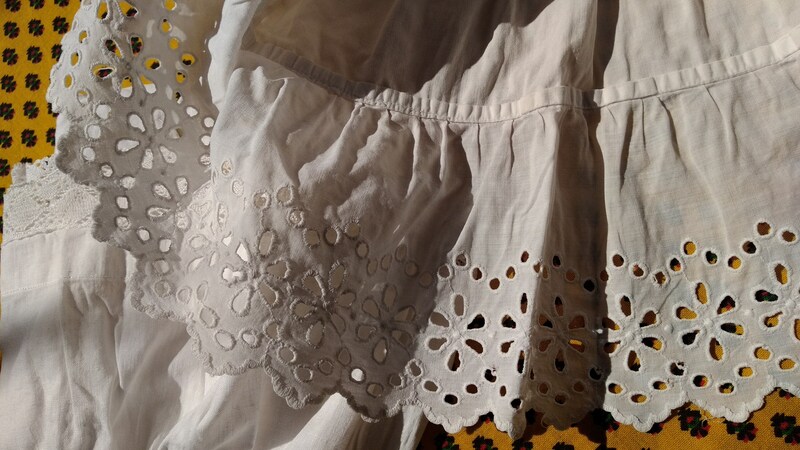 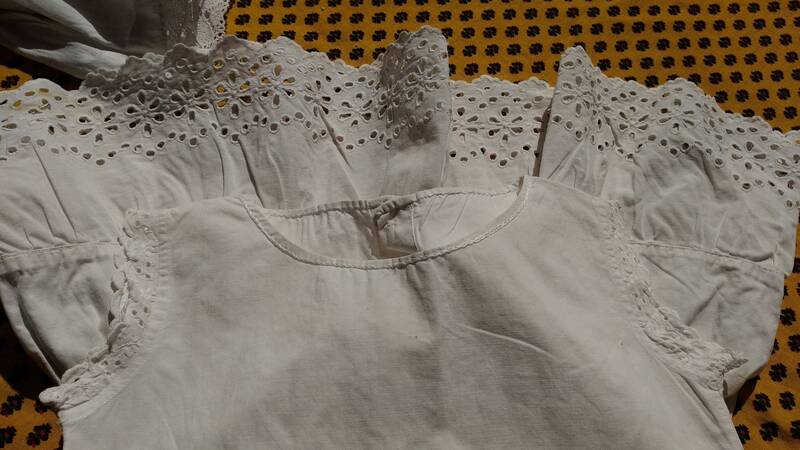 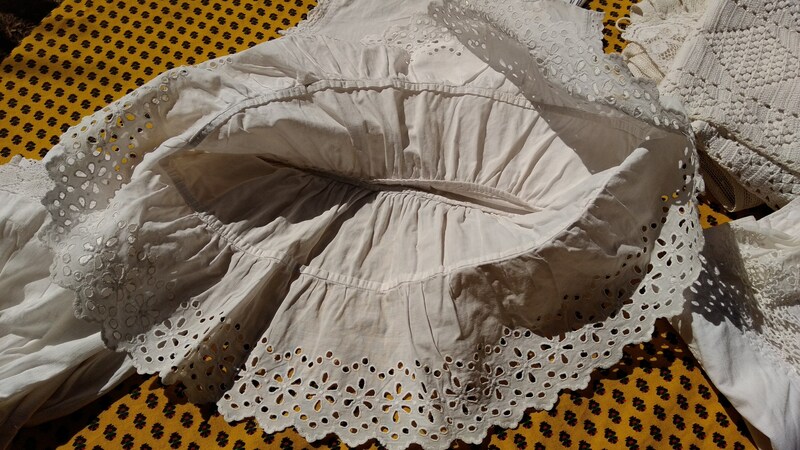 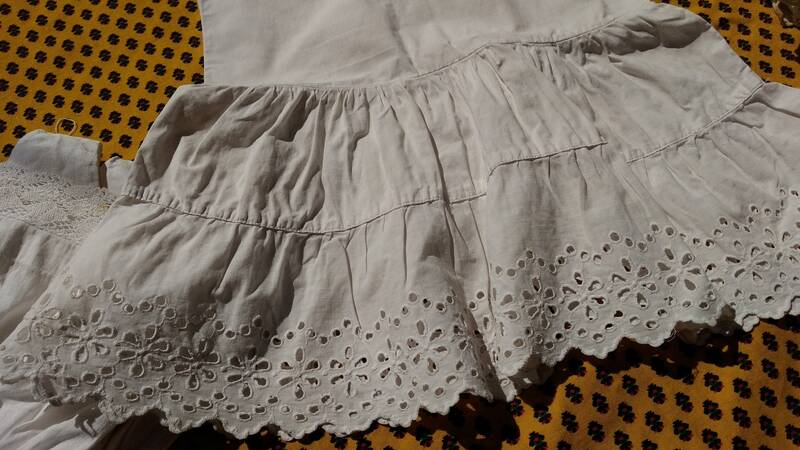 Antique white cotton under dress slip handmade eyelet lace trim hand embroidered . 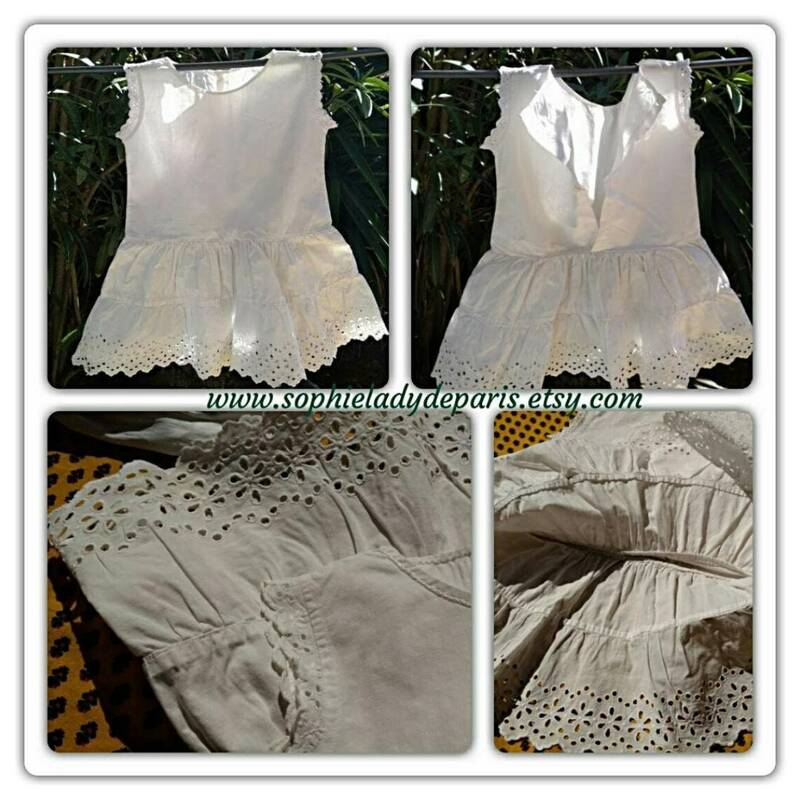 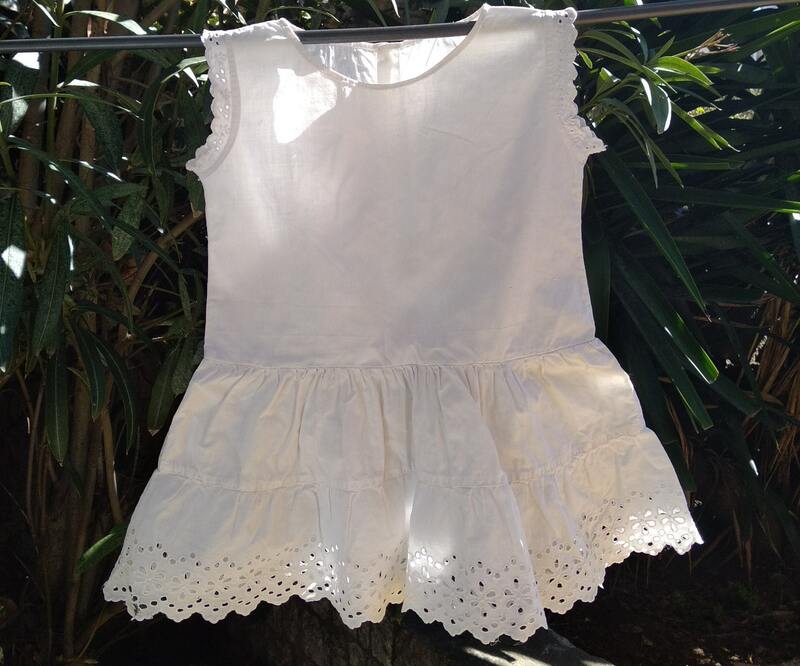 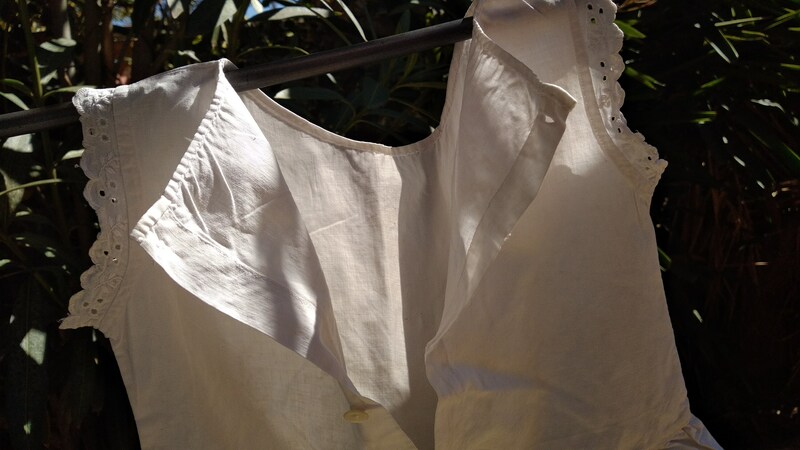 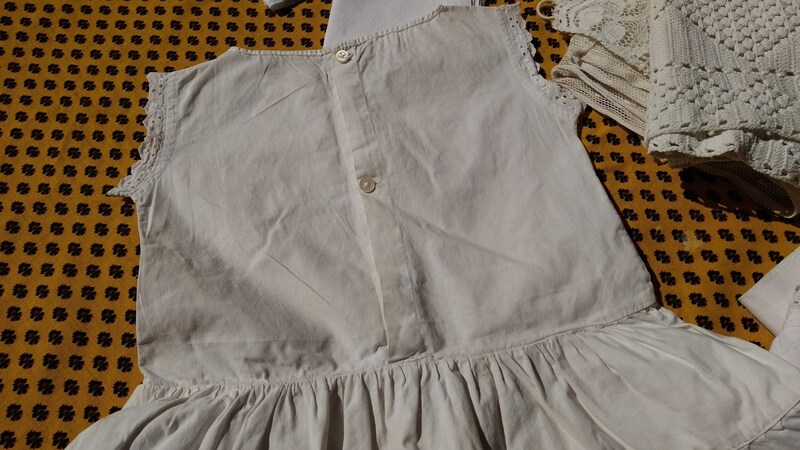 French under dress (slip) for a 4 years old Girl please check measurements. 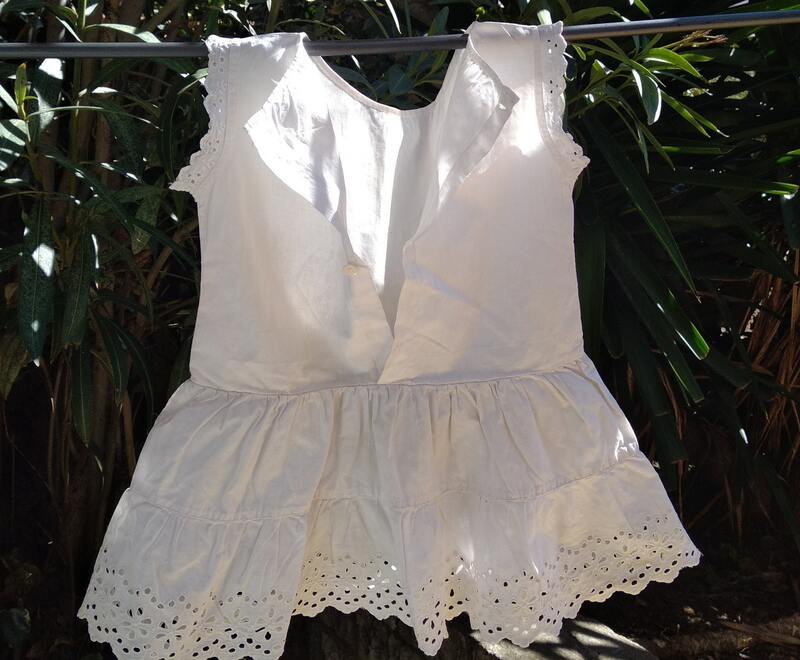 Back mother of pearl buttons. 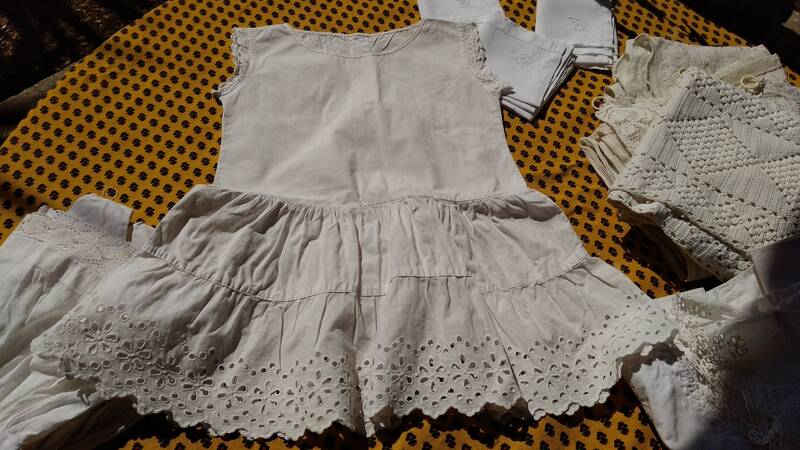 Lovely dress to keep as collectible or for costume !